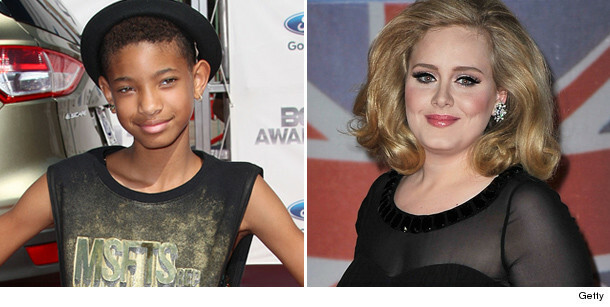 We know Willow Smith can sing, but who knew she could belt out Adele? At just 11-years-old, Willow does a pretty good job singing the 007 ballad "Skyfall." While the Grammy winner definitely owns the song, Willow’s mini cover is solid, even without full instrumentals. Nonetheless, the tiny pop star has plenty of time to develop her vocal-chops – and we’re excited to hear more from her. We know she’s got good genes – dad, Will Smith, and mom, Jada Pinkett Smith must be so proud! Check out both videos at let us know how Ms. Smith stacks up against Adele! How does she compare? Sound off below! Kelly Clarkson Covers Carrie Underwood Hit "Blown Away"
"Skyfall" Goodies: Watch First Clip & Hear Adele's Song!